Our incorporation experts provide company formation services in Slovenia for foreign and local investors. An entrepreneur can find Slovenia to be an excellent investment destination. There are many forms a business may take in this country and since the e-VEM one-stop-shop portal is functional, the company registration process in Slovenia doesn’t take longer than a few days. The main actions an investor must take before opening a company in Slovenia is drafting the articles of association, finding a business office, hiring an accountant and opening a bank account, this being some of the compulsory registration requirements, which can be detailed by our team of consultants in company formation in Slovenia. In case you need reliable legal services, we recommend our partner law office in Slovenia, which can provide local legal assistance to foreign investors. 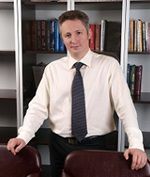 When the entrepreneurs have available at least EUR 7,500 and will run a small or medium business, with not more than 50 shareholders, it is advisable to open a Slovenian private limited liability company (D.O.O), called this way due to the fact that the liability of the members is limited to their contribution to the capital. One manager can be appointed to take the daily decisions but in matters related to the increase or decrease of capital, the articles of association’s amendments, transformation or liquidation the major decisions are taken by the general meeting of the shareholders. If the Slovenian or foreign entrepreneurs can dispose of a higher amount regarding the share capital (at least EUR 25,000) they can open a Slovenian joint stock company - Slovenian A.D. The number of shareholders can be higher than 50, unlike the private limited liability companies, and their liability is also limited by their contribution to the capital. The daily management can follow the one-tier model (assured by a management board) or the two-tier model (assured by a management board and a supervisory board) with members invested for a period of at least six years. The major decisions are also taken by the general meeting of the shareholders. At least two partners can form a Slovenian general partnership, fully liable for the company’s liabilities. No minimum share capital is necessary for this type of business but in case of liquidation the partners’ assets can be used to cover the liabilities. The partners have to respect a set of rules, established in the partnership agreement. All the partners can be part of the management. Another form of partnership, the Slovenian limited partnership, is formed by a silent partner, who must bring a contribution in the entity and who is liable for the company’s debts in the limit of his or her contribution, and a general partner with unlimited liability in the partnership. Only the general partners can take all the management decisions and in the case they can no longer represent the respective business, it will be dissolved. A Slovenian limited partnership by shares is formed by at least five members in Slovenia. The liability of the members is determined by the contribution to the capital. Our experts in company registration in Slovenia can help you select the most suited company type for your business objectives. They can also help you in case you are interested in setting up a compay in France by putting you in contat with our partners. What is a Slovenian sole trader? The Slovenian sole trader represents the simplest way to start a business in this country; it is important to know that it does not represent a business form in itself (it is not seen as a legal entity under the local legislation) due to the fact that there is no legal distinction between the owner of the business and the company itself. In terms of taxation, the sole trader is taxed following the personal income tax rates applicable to natural persons, which are imposed on a progressive system. The advantage of the sole trader is that it benefits from a simple and free of charge registration procedure, free of charge; more importantly, throughout the financial activity of the business, the investor will need to conclude basic accounting procedures, unlike other business entities that can be set up here. select the business activities that will be developed through the Slovenian company, following the Standard Classification of Activities (SKD). 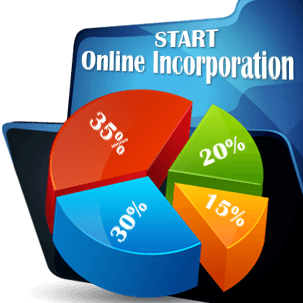 All the entities must begin the process of incorporation of a company in Slovenia by drafting a foundation act and the articles of association for limited liability companies or a company charter for joint stock companies. In these documents are stipulated the name of the company, its registered address, its structure, details regarding the shares and stocks, details regarding the capital, information regarding the members and their rights, information regarding the process of transformation and liquidation. Opening a bank account is also an important step in the Slovenian company formation procedure. The minimum share capital for a limited liability company in Slovenia is EUR 7,500 while for a Slovenian joint stock company the minimum share capital is established at EUR 25,000 and at least one quarter of this amount must be deposited in the newly opened bank account. The capital can be constituted by cash or in assets. The process of company formation in Slovenia was simplified through the implementation of the e-VEM one stop shop. After taking the above steps (drafting the incorporation documents and opening a bank account), the entity’s representatives must visit the VEM entry point and deposit the necessary documents for incorporation, such as the application for registration and the founding documents, along with the bank certificate related to the capital deposit. The documents can be signed with a certified safe electronic signature. If necessary, the office can help the applicant with drafting the articles of association and the proposition for company registration. The one stop shop will publish the newly formed company’s information on the e-VEM portal; it will register the entity with the Statistical Office of Slovenia and with the tax administration, as well as with the Health Institute. accounting cost: our specialists can offer corporate tax assistance and bookkeeping services and the cost is of approx. EUR 50/month. Are there any other requirements when starting a Slovenian business? • select the company’s business activities – although in most cases, there aren’t any special conditions, several business fields can require business permits and licenses. Considered an excellent holiday destination, Slovenia also offers numerous opportunities for the investors. Member of European Union (EU) since 2004, Slovenia has signed many treaties in the attempt of attracting investments (for example, the double tax treaties are signed with more than 45 partner countries). The country is oriented to foreign direct investments, offering various types of investment programs and incentives that can depend on the investment sector selected by the businessmen, as well as on the region in which they will invest. It is important to know that companies in Slovenia can also benefit from incentives that support the development of the employment market. The investors are mostly concentrated on the following sectors: services, chemicals and retail. The corporate tax in Slovenia is 19% (decreased in 2017). All foreign and local investors in need of company formation services in Slovenia are invited to contact our team of local incorporation consultants, who can advise on how to open a company in this country. CompanyFormationSlovenia.com is a part of Bridgewest.eu, an international network which has affiliated partners throughout the world, including our partners company formation agents from Poland.